Just right below “A Cut Above” are two collections we truly admire for their superb quality. 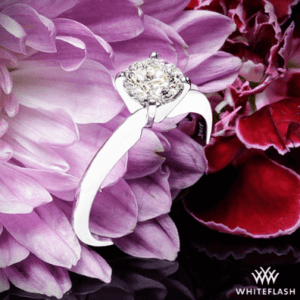 You don’t have to stray away from Whiteflash’s elite line of diamonds if you’re on a tighter budget as Expert Selection and Premium Select Diamonds are specially classified for a more price-sensitive audience. The beautiful thing is, the line that separates Whiteflash ACA diamonds from these collections is so thin – it’s actually microscopic. You won’t mind its invisible features unless, of course, you’re an investor or a diehard perfectionist. Yep, some idealists purchase the best of the best just because! We call these diamonds “mind clean” instead of “eye clean” – what we should be looking for. So, if you don’t mind not-owning an A Cut Above Diamond, Expert Selection and Premium Select are the next brands in line to the throne. Let’s get acquainted with them and try to see Whiteflash ACA’s hidden features that made these two contenders worthy alternatives. Going back to my previous post, we talked about how Whiteflash’s A Cut Above remains on top. In a nutshell, each ACA gem is evaluated with an image package, an eye clean test, and a Sarin report. It must then possess an AGS Triple Zero rating and a Hearts and Arrows Diamond pattern. Most importantly, it must also pass stricter parameters by Whiteflash experts. “While a small minority of GIA Triple Ex diamonds are cut to the center, most cutters target the outer area of GIA EX parameters, consciously sacrificing light performance for heavier carat yield. The crafting of A CUT ABOVE® diamonds is aimed at the very heart of AGS 0 parameters representing a very narrow subset of the overall GIA Excellent cut grade category. Now, many diamonds in the Expert Selection category narrowly missed the strict requirements of the A CUT ABOVE® Super Ideal line. But Expert Selection is nothing short of exquisite nonetheless! 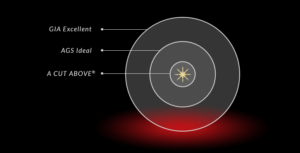 Just like ACA, a diamond must first achieve the highest light performance cut grade given by AGS which is Triple Zero. 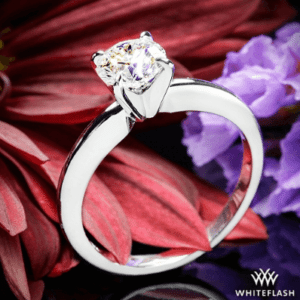 Although GIA is more forgiving than AGS, GIA Triple Ex diamonds are sometimes labeled as Expert Selection if their light performance is comparable to AGS Ideal. Expert Selection also offers other shapes with superb cut quality such as AGS 0 Princess cuts. Each diamond comes with gemological data and light performance images including ASET, Ideal Scope, Hearts and Arrows, and an HD Video. The round diamonds in this category feature the highest cut grade issued by the Gemological Institute of America – GIA Triple Excellent. In addition, these diamonds must possess high optical precision as evidenced by a pattern of distinct Hearts and Arrows. 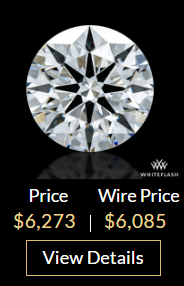 As with all Whiteflash in-house diamonds, Premium Select diamonds are exclusive to Whiteflash and are accompanied by a comprehensive array of analytics including lab report, light performance images, and HD Video. 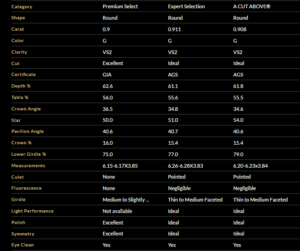 A Cut Above sure has super ideal proportions, and Expert Select comes in a close second. But we can’t deny that Premium also bears outstanding cut dimensions. 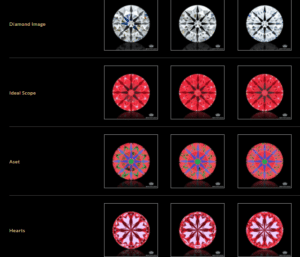 Also, the Ideal Scope and ASET images of the Premium Select diamond displays more light leakage than the two stones. 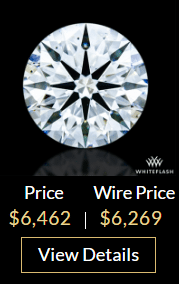 While, the Expert Selection diamond possesses more green on its ASET image; meaning, it has “less intense light return” than the A Cut Above diamond. These are the invisible features that are used to filter the three lines. But if you will compare the fire and scintillation exhibited by these gems, it will be a challenge to spot the difference. 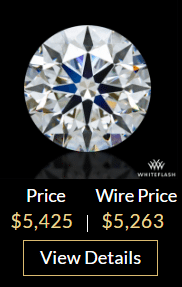 And if you’ll look closely, it will be even harder to set an Expert Selection diamond and an ACA diamond apart. At the end of the day, you’ll be faced with the choice between a diamond with the Number 1 stamp or the one that has better value for money. It’s true that there’s no miss in Whiteflash A Cut Above Diamonds. And if you want the best of the best – no questions asked – then go for it! If you have any questions about Whiteflash signature lines, comment below or write me a mail. 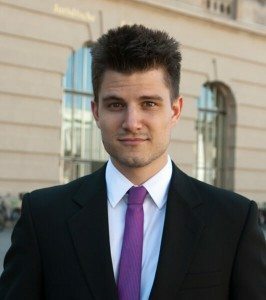 My advice is free!